Hello Fellow Real Estate Investors! Don’t you love summer vacation? 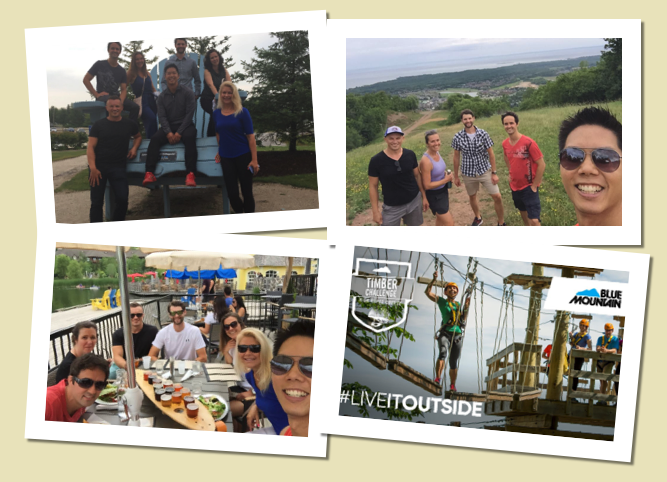 Normally our mastermind takes the summer off but two months off is too much, so instead we planned an overnight getaway at Blue Mountain Village. We rented three bedroom suites in the village, went hiking, shared a skateboard/flight of 14 beers, actually masterminded, talked about life, shared embarrassing stories, and of course what we are up to professionally. The beauty of the mastermind is we each get inspired and help from each other in seeing what other investors are up to and what is possible. How folks structure deals for development, or financing tips when all lenders are saying no. Remember to have an agenda for networking/masterminding as well. Personally, I’m looking to turn my focus towards development so I had lots of questions around that subject and as also lead generation. If you don’t already belong to one, I suggest you do. I belong to three of them (two I simply host for the benefit of the attendees). My team at Titan Investment Real Estate will be making more master mind groups available to clients come the fall season so if that’s of interest to you, do keep an eye out. Susan is a veteran investor who started in 2006, the perfect time, right before the Financial/credit crisis of 07/08. She’s done flips, legal basement suites, 30-40 rent to owns, student rentals, owned interest in over 70+ properties, and currently holds over 30 properties. We talk about raising capital and credit from investment partners for joint venturing, her forecast and equity splits for investment partners, her strategy for the “infinity house” as in “infinite returns”, favourite books she recommends, and how she develops talent so she may delegate and limit her active work to only 15 hours a week. You will want to have a listen to how she does what we all want. She makes more money while limiting investment of time so she may spend more time raising her family.